I’ve tried my share of interchangeable needle sets and yet I am always excited to try a new set. I just love how each different kind of needle has a unique feel in my hands as well as different lengths, tips, etc. And while it’s true that any type of knitting needles will get the job done, I find it pretty awesome that we have so many options from which to choose and narrow down our own personal preferences. When I started out, I really only used bamboo or birch needles. And then I slowly started to switch over to metal & shortly after I made the leap into interchangeables. For any knitter that knits regularly and uses circular needles regularly, an interchangeable set is a great idea. For new knitters, needles are a constant expense that can really start to add up when you realize that there aren’t just a lot of sizes, but a lot of lengths of needles, too — and each pattern you create may call for any combination of those two. Interchangeable sets automatically give you a wide range of those options and that can save you money in the long run not to mention headaches in trying to remember which needles you’ve got as you select your next project. As I said, the options available when selecting interchangeable sets are pretty wide ranging. You can get bamboo, metal, metal tips with carbon fiber shafts, brass plated with chrome — there really is ample opportunity to find exactly the right needle for you. 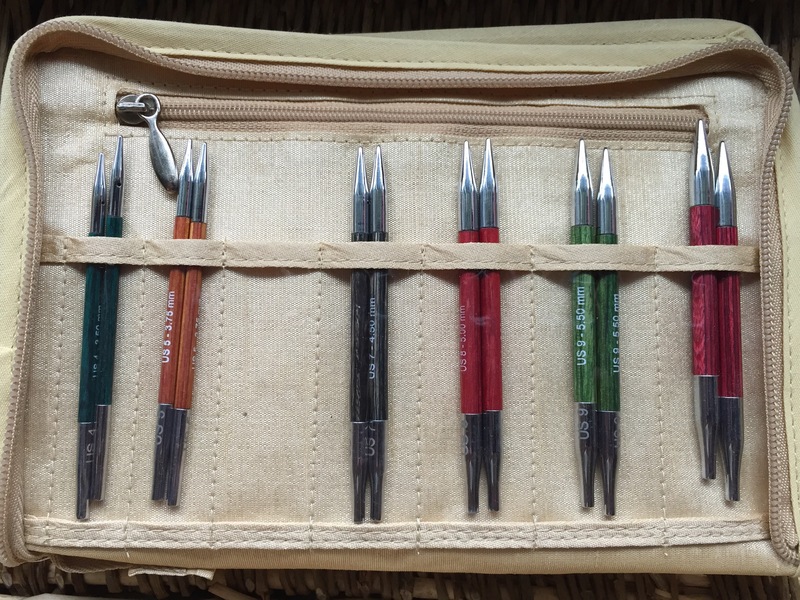 The new Knitter’s Pride Royale Special Interchangeable Needle Set is indeed a special set. This set of needles combines birch shafts with metal tips that are very similar to (if not the same as) their cousins, the rightfully lauded Karbonz needles. You can see those tips right here in a project I was working over the weekend. 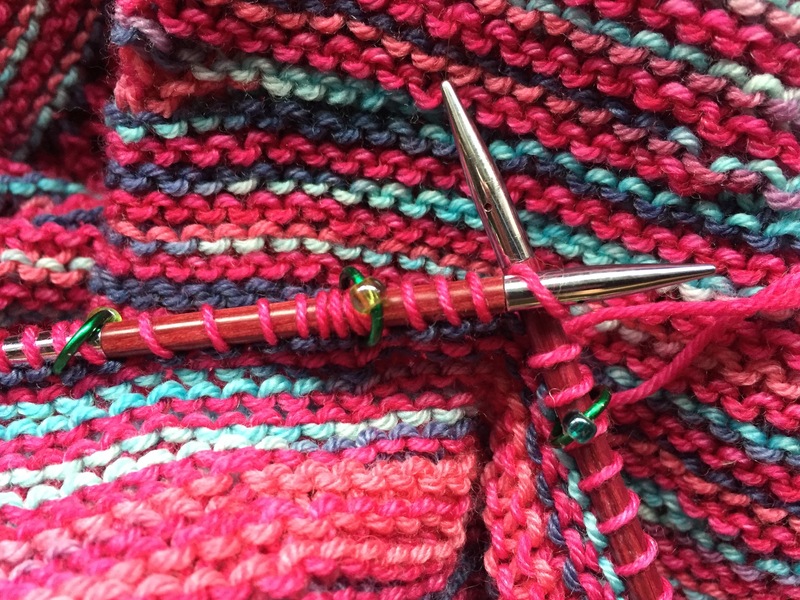 I’m a big fan of these tips — they are a good balance of sharp, but not so sharp you split your yarn as you knit. The birch shafts are a little more substantial than the Karbonz and even though they are perfectly smooth and painted with lovely colors, you can feel that hint of wood grain. As someone who started with wooden needles and moved into metal, this is a detail I really love. As I mentioned, they are painted in some really lovely, subdued hues (pardon the size 6s that are missing — they were in my project!). 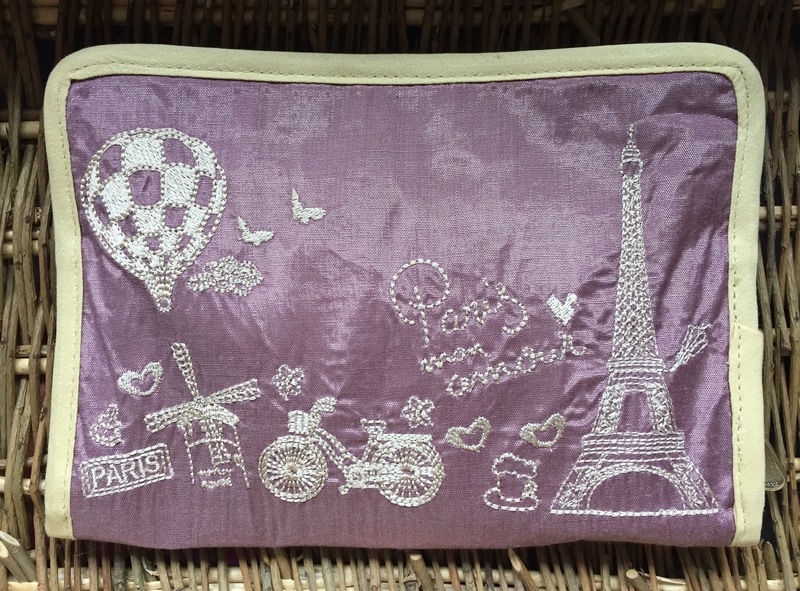 And let’s not forget their adorable case. Now the “special” part of the Royale Special Interchangeable Needle Set is that the needles are just 4″ long. Unlike the regular interchangeable set, this one is designed specifically to let you create 16″ needles. If you knits hats this is essential, so that’s a big deal! This set comes with needles sizes 4, 5, 6, 7, 8, 9, and 10 and two 16″ cables. Because the sets with longer shafts are not capable of the 16″ set-up, they come with a bigger selection of cables — it’s a simple trade-off. I’ve found, though, that my Karbonz cables work just fine with this set of Royale needles, but as I’m a little low on 24″ & 32″ cables for these sets (let’s not talk about what might be hibernating with projects), so there’s a good chance that at some point I’ll pop over & pick up some extra cables. They are really not expensive (at the time of this post they are listed at $2.50/cable) and there’s the added bonus that Knitter’s Pride is now color-coding their cables which will make them extra easy to sort and use. I’ve had them less than two weeks and they are already in their second project. With the options I have here, that little fact proves this review is definitely a rave! Sarah, are the joins smooth? Someone had previously told me the Karbonz joins catch a little (I have not used them, so don’t know for sure), so wondering if that is improved in this set? The joins of my Royales are really nice & smooth. My Karbonz are also though. I wonder, did your source have issues with all her Karbonz or was it cable specific? I had one cable with my Karbonz that didn’t fit *quite* as nicely and occasionally caught if my stitches were really tight. And that’s a consideration, too. 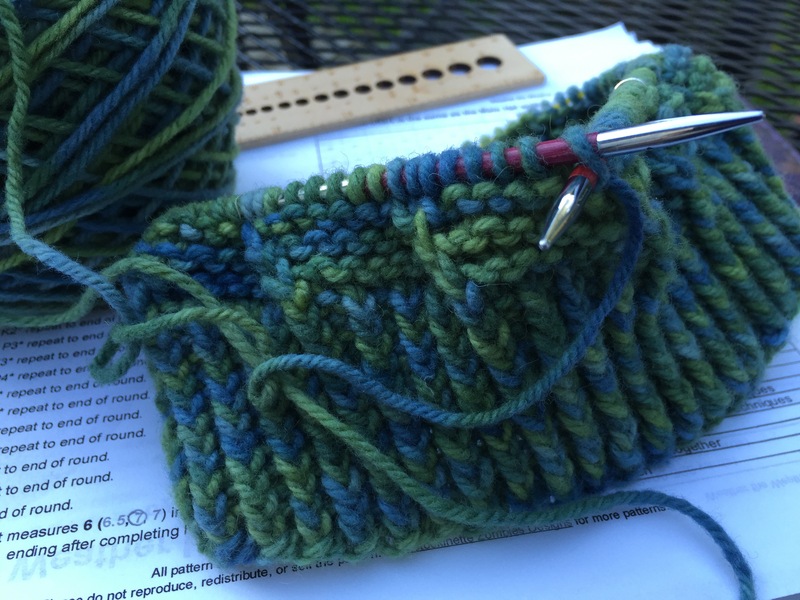 If you are a tight knitter, those stitches will catch on almost any interchangeables. So if possible I would investigate further. When you do your next yarn crawl, I would ask in each shop if they have a set of both you could test out or at least see the joins for yourself. They should be happy to look with you! This set of Royales, however, I can say again are nice and smooth — I’ve checked the 6s, 10s, and 4s now and absolutely no hiccoughs in the joins whatsoever. Thanks for that help. I like that these are 4″ as my hands are small. I have a full set of ChiaoGoos and love them, but a wooden set would be great for different yarns. I’m going to Yarn Crawl in Austin in two weeks and will check these out. THANKS!